DK Readers: Free at Last! 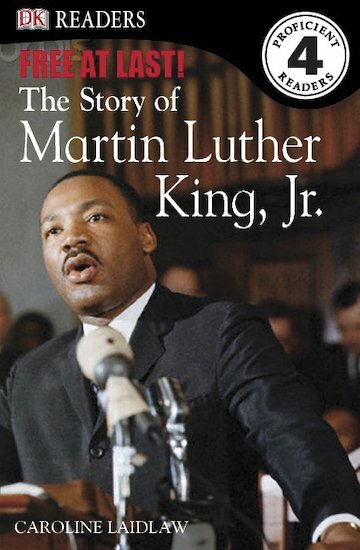 The Story of Martin Luther King, Jr.
An inspirational short biography from the popular DK series, which teaches young children about the life and legacy of murdered civil rights leader Martin Luther King Jr. Learn how this churchman and activist encouraged non-violent protest against racism, seeking to fulfil his dream of a world where people would be judged by ‘the content of their character, not by the colour of their skin’. From the fourth level of the series, this fascinating book features an engaging text full of rich vocabulary, a challenging sentence structure, lively pictures, additional facts, a glossary and index.